If nothing else, 2018 has been a wet year. 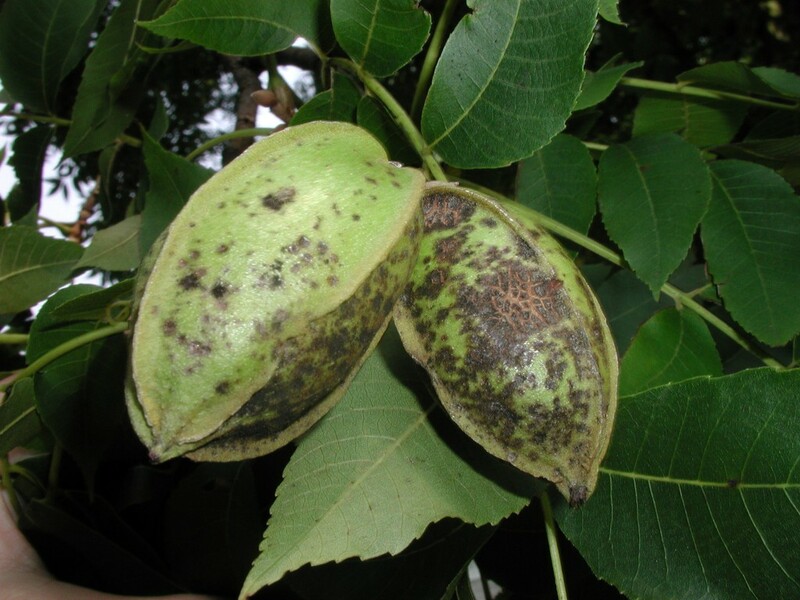 As far as nut scab is concerned, the frequency of rainfall really starts to matter in June and its importance continues on through the rest of the season until shell hardening occurs (or shortly after shell hardening if you grow a scab susceptible variety). During years in which we get frequent rains, we have to spray—a lot in some cases—to control scab. This quickly cuts into profit potential. A quick check of the UGA Weather station in Albany shows 9 days of significant rainfall (0.1″ or more) in June, 11 days in July, and 13 days in August. Often the rain fell in successive days or with no more than 2 or 3 days between. But even on those days when we didn’t get a significant rainfall event, most areas got some light rain, often late in the evening which would keep the nuts wet all night. Conditions like this make the battle with scab a nightmare for certain varieties, causing most growers to end up spraying at least 14-16 times to have any hope of keeping scab susceptible nuts clean. 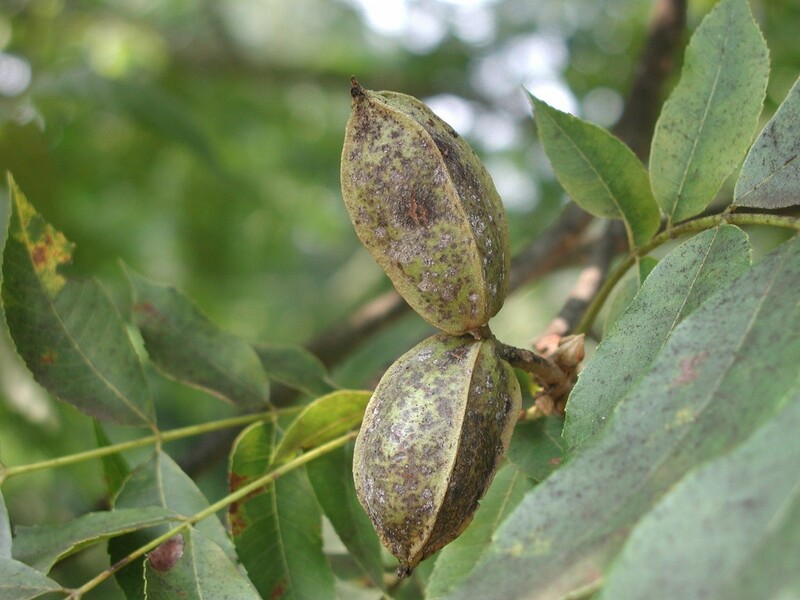 At 2015 variable production costs, we were looking at $1628 per acre to grow pecans with 16 sprays. That puts the break even price for a yield of 1000 lbs per acre at around $1.63/lb and you would still have to subtract your assessments from that. Since chemical costs have gone up slightly, I think its safe to say the variable cost this year for 16 sprays is up to $1800/acre, which makes $1.80 the break even price at 1000 lbs/acre. None of this considers fixed prices in the equation. If a grower still has land and equipment to pay for, even $1.80/lb won’t cut it. Based on USDA statistics, the average price obtained by Georgia pecan growers across all varieties from 2015-2017 was $2.35/lb. 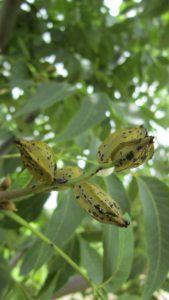 Yes, pecan prices for growers have been profitable in recent years but not lavishly so. For years before the China market took off, I heard shellers saying they needed growers to plant more acreage to increase the supply and with the new marketing order in place to help develop the domestic market, the increased acreage will be a necessity for a consistent supply. But, it has only been recently with the improved prices that growers have been able to afford the considerable cost ($2200/acre) of planting more orchards to increase pecan acreage. At the same time, the entire industry has grown, thrived, united, and garnered more attention than it ever has. If we go back to $1.50 per lb nuts, it won’t be long until we are right back in the same boat we were in 12-15 years ago, if not worse off.